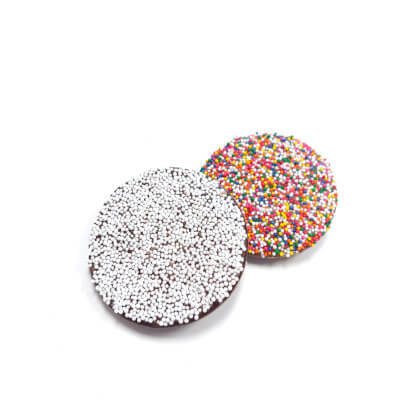 Jumbo nonpareils in milk or dark chocolate. Dark has all white nonpareils. Milk has rainbow nonpareils. Approx. 2 inches in diameter. I gave this piece of chocolate to a fellow worker on my floor she loved the richness of this piece of candy.